To put it simply, a two-way radio is a device that can both receive and transmit voice messages. In broader terms, it can be said that most wireless communication, and it may include cellular systems, fall under the definition. However, these days, two-way radio is a term to describe radio system for group call communication. The two-way radio comes in several technical names such as Public Access Mobile Radio, Private Mobile Radio, Land Mobile Radio and Professional Mobile Radio. 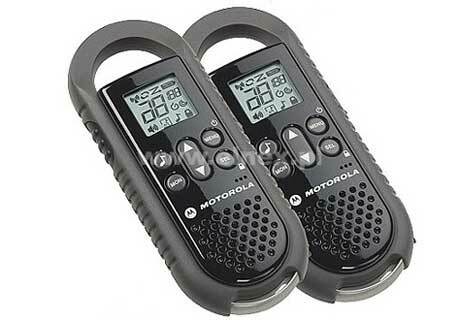 These present times, two-way radios are often called “walkie talkies”. There are several kinds of two-way radio systems and some are able to make use of base and mobile configuration, while some re able to utilize a radio network infrastructure. A typical two-way radio includes a PTT button, also known as Push-To-Talk button. The button activates the transmitter and the user simply needs to talk to the device to start communicating. The user must release the PTT button in order to receive transmissions from the other line. A two-way radio is able to communicate with other radio devices. However, direct radio communication has very limited range. To overcome the problem, a radio network infrastructure may be used to extend the range of communications. The rest of the article is going to cover more details about how 2 way radios work and other useful information. Just like other forms of Wireless communications, a two-way radio sends messages over the air. In order to achieve this, the antenna of a way radio contains a specific set of electrons. If the two-way radio features multiple channels, then there is specific sets of electrons are each channel. Whenever a radio transmission is received by the two-way radio, the electrons get excited. The electrons then create electrical impulses. Electrical impulses are then sent to a small processor, which will then convert the electrical impulses to words and sounds that can be understood by humans. The sounds are produced by the speakers within that two way radio. Keep in mind that there are always radio waves are floating in the air. Because of it, there is always a nondescript sound that may be produced by the two-way radios. To solve the issue, a lot of two-way radios feature a “squelch” setting; and with it, the user can adjust the signal threshold for clearer communications. Two-way radios can also send messages across the air. The main idea is to convert the sound to radio waves. However, the defining characteristic about the way radio is its ability the convert back the radio waves back to legible sounds. Whenever a user speaks into a two-way radio, a membrane within the device will vibrate as a response to the sounds. The vibrations are sent to the processor, which in turn converts them to electrical impulses and readies it for transmission.. Finally, the transmission is sent to the antenna which is then broadcasted in the form of radio waves. These radio waves are then received by another device and convert them back to a legible sound. As two-way radios are getting more and more popular, it is possible for more than one party communicating in the same line or frequency. This can cause a lot of confusion and interference. To solve the problem, modern two-way radios are able to utilize multiple channels. For a two-way radio to broadcast on multiple channels, the device must be able to generate radio waves in multiple frequencies. Furthermore, the device must be able to send frequencies with very little fluctuations. These fluctuations are actually caused by the transmitted voices. The fluctuations can be minimized through “frequency modulation”. The modulated transmissions are then sent to the device’s antenna. The device must also excite the proper electrons. Once the proper electrons are excited, an outgoing radio wave is then produced. These radio waves may be picked up by another device tuning into the same frequency. Furthermore, the device must be within range of the transmitting device. The range of two-way radio is usually determined by a couple of factors such as atmospheric conditions, radio’s battery power and the size of the two-radio’s antenna. Whenever a device picks up the transmission, the receiving radio must filter the signals through an electronic filter known as a bandpass filter. Finally, the transmission is then converted back to sound. Instant Communication – the ability tocommunicate between two or more parties almost instantly is one of the most defining advantages of the two-way radio. A user only needs to press the “Push-To-Talk” button and within seconds a receiver will be able to receive the audio messages. Furthermore, the entire system is set up around the idea of “quick call” and “quick receive”. This is the main reason why the organizations rely on the two-way radio technology for operational and tactical communications. The system can also make use of encryption technology for a more secure communication. Another unique advantage of two-way radio is its ability to facilitate “group call” or “one-to-many” communications very efficiently. By efficient, it means that the user can communicate with one, hundreds or thousands at the same time. There is no need for a user to repeat the same message if he/she needs to communicate to more than one individual. A two-way radio is one of the earliest technologies used for wireless communications. Even though it is a bit outdated compared to other forms of wireless communications, but the usefulness is still very applicable today. The main idea of how 2 way radios work revolves around on sending and receiving radio waves, which in turn is converted to legible sounds. The idea and technology behind two-way radio may be simple, but nevertheless it is still a very well-used form of communication in today’s world.